The future is now. Step into a more efficient lifestyle with wearable technology from Walmart. Our wearable tech options include products that help you stay healthy, improve your ability to capture memories and keep you entertained. Fitness and activity monitors, high-tech headphones and video-recording devices you can strap to your chest are all part of our product offerings in this section. Whether you're looking to accomplish a health and fitness goal or you want to make your next vacation amazing, the Wearable Technology section has everything you need. And thanks to our Every Day Low Prices, these advanced tech products can be yours today. Fitness trackers are part of the new wave of wearable technology. Equipped with various sensors, these small devices clip onto your shirt, strap around your wrist or hang around your neck, allowing you to simply wear them and let them do their jobs as you go about your day. Sensitive technology then measures your activity and movement, keeping track of how much time you spend completely stationary and how much time you spend walking, running, swimming, climbing stairs and otherwise moving your body. 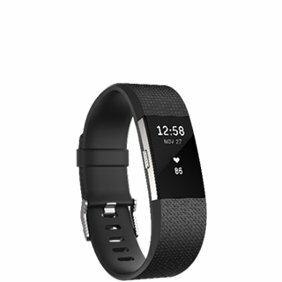 The fitness tracker device then stores this information in a tiny internal computer system, which you can access in several different ways that may vary based on the brand and model you choose. Some fitness trackers have readouts right on the tracker itself, allowing you to quickly monitor your activity, while others require you to plug the device into a computer or use a Bluetooth link with a smartphone app to read what's recorded. In addition to tracking movement, fitness trackers can monitor stats like how much sleep you get so you can have a complete picture of your health and improve your overall wellness. If you aren't sure which tracker to choose, you may want to start by focusing on a specific company that seems to get good reviews for its fitness tracker products. Each company may offer a variety of different activity or fitness tracker options that have different levels of activity monitoring. 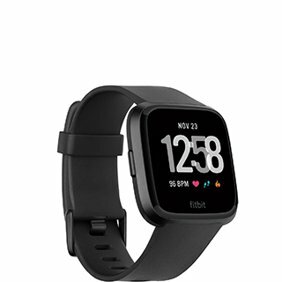 If you simply want a pedometer or basic fitness tracker to keep yourself accountable for exercising every day, feel free to focus on the lower end of the price range for these devices. Price tends to scale up as trackers get more complex and detailed. With rugged, waterproof and lightweight camcorder options on offer, this section has great options for globetrotters and thrill seekers who want to record their adventures. The action camcorder category offers a high level of quality and reliability that'll result in amazing videos you can keep for your personal collection, share on social media or edit into a reel that showcases your athletic or filmmaking skills. This product category includes a variety of different camcorder options in addition to a range of handy accessories that you can use to get a clear, steady picture in any situation. From helmet mounts that let you passively film as you snowboard, mountain bike, skateboard or skydive to handheld tripods that make it easy to grip onto a camera without dropping it while scuba diving, hiking or just walking around, these accessories contribute to the overall quality and versatility of the cameras in this section. They also make the "wearable" aspect of the "wearable technology" category even more accessible. Many of the cameras in this section come with a range of mounting and wearing accessories built into the cameras themselves or included in a product bundle. However, you may have additional needs or choose a camera style that doesn't include the accessories you need to put the camera on your body or the safety equipment you require to film hands free. As you shop for a camera, make sure you have the right equipment to wear your device in the manner that makes most sense for the activities you perform, whether it's kayaking or hiking. Are you ready to cut the cord and step into the future of headphone technology? The wearable tech headphones in this product category ditch wires in favor of wireless connectivity technology like Bluetooth, giving you the ability to walk around, move your head, exercise and change positions without getting all tangled up. Whether you're in the office, on the couch or in the gym, wireless headphones offer the ultimate in audio-listening convenience. You can block out sounds and focus on the music, podcasts or audiobooks in your queue without accidentally knocking the wire out of the plug or dropping your device. Leave your phone, tablet, MP3 player or computer securely in your pocket or on your desk as you listen. Walmart offers high-end brands so you can stay on the cutting edge of audio quality and convenience without missing a beat. These headphones are available in a range of different colors and sizes, including some low-profile wireless options that you can wear while running or working out to keep the tunes flowing without the inconvenience of an audio cable tethering you to a device.